If the recent proliferation of sheet masks is any indication, the mainstream world has come to accept Korean beauty as gospel. South Korea is the unofficial home of skincare, after all. Some of our most beloved brands are headquartered there (we’re talking power players like Dr. Jart, Laneige, Amorepacific—must we go on?). Much like the French are known for their carefree approach to beauty, Korean girls are known for their focused and powerful skincare routines. Whether it’s blackhead “vacuums,” genius baby-powder hacks, or amazingly innovative a formulas, K-beauty girls only spend their time and money on products that are proven to be effective. So of course I pay attention to popular products in the space. I figure if it's good enough to impress the K-beauty skincare market, then it's good enough for me. Cue my introduction to a formerly unknown skincare product that happens to be insanely popular in Korea: splash masks. Intriguing name? Yes. Even more intriguing product. I knew I had to try them for myself. Read on to hear what happened when I tested three different splash masks! What is a splash mask, exactly? It's a potent liquid blend of good-for-you ingredients that are patted onto the face with your fingers. Splash masks promise to target a myriad of different skin issues, just like traditional face masks do, yet their results are immediate. And no, immediate isn't an exaggeration; we're talking 15 seconds to better skin. How can this be possible? According to Korean skincare expert and co-founder of Glow Recipe Christine Chang, splash masks have historical origins. "Splashing the face with milk or botanical-infused waters after cleansing comes from a centuries-old Korean bathhouse tradition to clarify and brighten," she says. In fact, Chang and Glow Recipe co-founder Sarah Lee have a personal connection to the practice. "Sarah and I have memories of going to the bathhouse with our mothers or grandmothers and learning to treat our skin this way as a weekly ritual." Splash masks are simply the modern take on this age-old ritual. "Splashing the face with milk or botanical-infused waters after cleansing comes from a centuries-old Korean bathhouse tradition to clarify and brighten." First I turned to Blithe. This product was my introduction to the world of splash masks, as it was for many others, since Chang and Lee helped launch this product in the U.S. market. They even coined the term splash mask. "Blithe Splash Masks were originally called Patting Water Packs in Korea, which didn't necessarily translate here, so we coined the term splash mask to help communicate the fun way these easy in-shower masks could be used," Chang says. First things first: the smell. It's delicate, citrusy, and totally invigorating. After I patted it in, I allowed my skin to air-dry, as recommended. It was left feeling tingly, firm, and refreshed. Consider this the newest addition to my morning skincare regimen. I honestly don't know how I ever woke up without it. Chang verified my sentiments, telling me, "The splash and patting action when applying the formula helps to awaken skin, condensing the masking routine to 20 seconds." Because I loved that first Blithe splash mask so much, I had to try another. (They also offer a third formula, the Rejuvenating Purple Berry, $45). 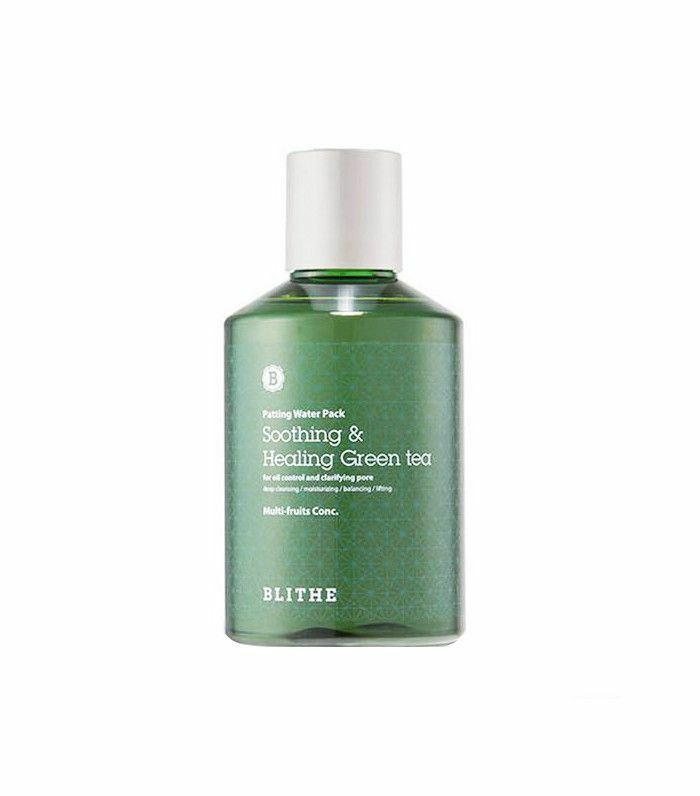 This one is made with green tea and tea-tree leaf oil to remedy red, irritated skin, something that I definitely have. I immediately noticed its cooling, calming effect. Oh, how my sunburned skin could have benefited from this on the scorching summer days of seasons past. It is truly soothing. In the future, I'll reach for this one to heal cold, wind-chapped skin or post-flight irritation. Yet another splash mask success. 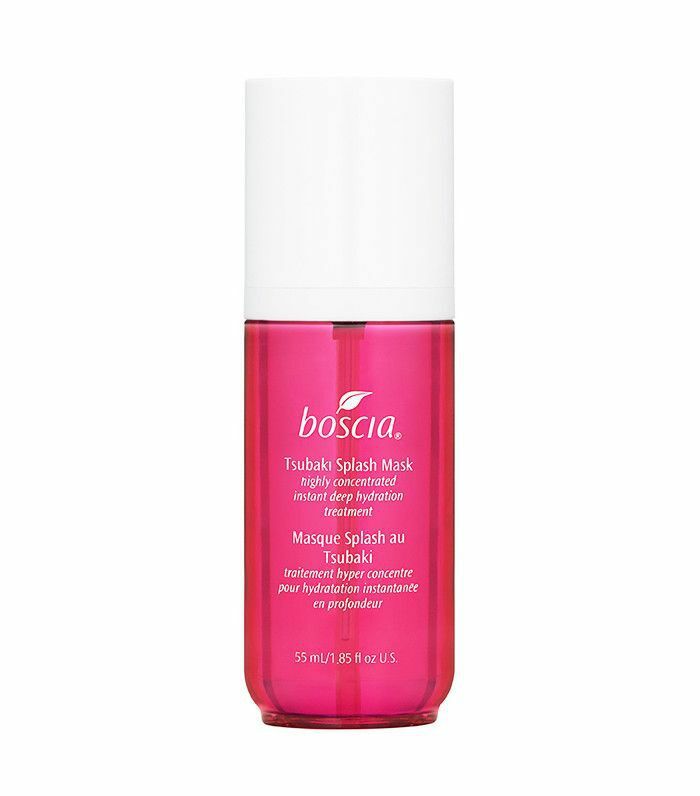 Next in my splash-mask lineup was this Boscia pick. 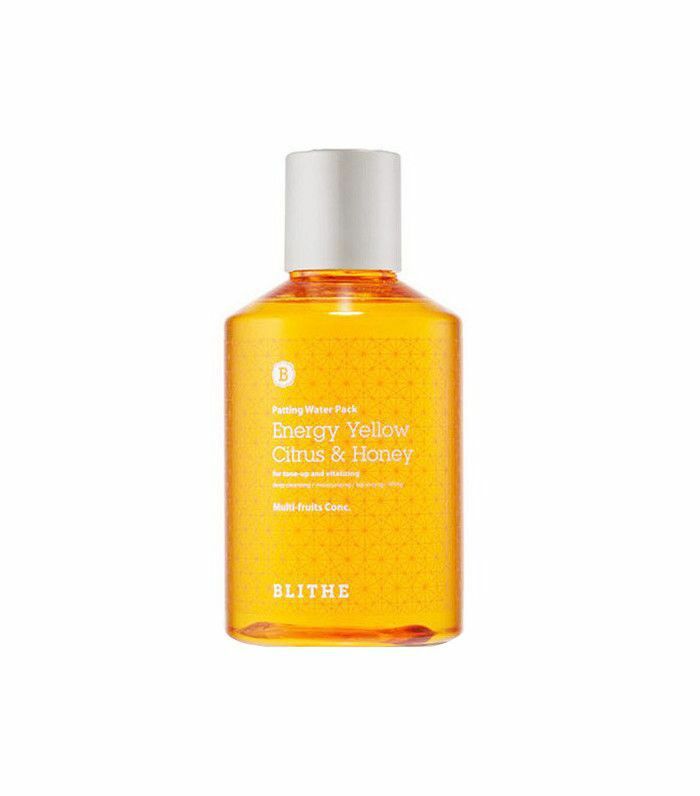 It contains ingredients like camellia oil, rice bran oil, and ginseng to instantly hydrate and smooth skin. I tried this one before bed, in the hopes that a shot of hydration would lead to supple skin come morning. After cleansing, I simply pumped out the liquid into my hands. I patted my face for 20 seconds, but I didn't rinse. This is important. Do not rinse or wipe off the remaining liquid (allowing your skin to air dry will give you best results). My skin was smooth and hydrated, as was promised. In fact, I only used half my normal amount of p.m. moisturizer. I just didn't need it. My skin felt fresh and bouncy, something that usually only results from an overnight tryst with Laneige's Water Sleeping Mask ($24). Interested in learning more about Korean makeup and skincare? Next, read about the six beauty secrets Korean women know that you don't. This Bizarre Japanese Face Mask Promises Brighter, Better Skin—But Does It Work?